Donald Trump has raised questions about whether the UK’s current Brexit plan is “what they voted for”. The US president said “Brexit is Brexit” but it was turning out “a little bit differently” with the UK “partially involved” with the EU. His comments at a press conference in Brussels came ahead of his visit to the UK – and as Theresa May prepares to publish details of her Brexit plan. The long-awaited blueprint, covering how the two sides could trade in years to come, follows the cabinet agreement at Chequers last week which prompted the resignations of two senior minister. It is aimed at ensuring global trade deals and no hard border in Northern Ireland. Brexit Secretary Dominic Raab said it would respect the result of the 2016 Brexit vote and address business needs. Labour said it took “just two days” for the government’s plan to unravel. The EU’s chief negotiator, Michel Barnier, has insisted the proposals must be workable. The UK is set to leave the EU on 29 March 2019, after the 2016 referendum in which people voted by 51.9% to 48.1% for Brexit. The two sides are negotiating outstanding issues related to its departure as well as the outline of their future relationship once a proposed transition period comes to an end, on 31 December 2020. Both are aiming for an agreement by October, to allow enough time for the UK and European parliaments to vote on what is decided. The EU’s chief Brexit negotiator Michel Barnier said the UK initiative needed to be compatible with EU guidelines and not create extra costs and red tape. It is a set of proposals the government hopes will be the foundation of the UK’s future relationship with the EU. It lays out how the UK would like to trade and co-operate with the EU for years and decades to come. 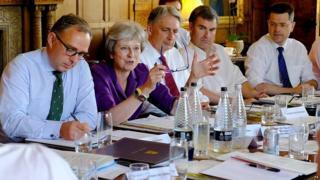 The White Paper, reportedly delayed for several months amid disagreements between ministers, was finally approved by Theresa May’s cabinet at her country residence, Chequers, last week. Mr Raab, who became Brexit secretary on Monday after David Davis quit in protest at the plan, said it struck the right balance between protecting existing arrangements with the EU and freeing up the UK to look further afield. Speaking on BBC Radio 4’s Today programme, he defended what he said was a “credible but innovative approach” to the “technical challenge” of leaving the EU’s customs union while maintaining frictionless trade across borders. And he told people who are “criticising or carping” about the plan that they needed to come up with credible alternatives of their own. This is not the final deal, as the detailed talks are yet to take place with the EU on it. The EU has welcomed its publication and said it will respond when it has seen the plans in detail. Are the Tories united behind this? The plans being set out in the white paper have already triggered two cabinet resignations. In his resignation letter, Foreign Secretary Boris Johnson warned the “Brexit dream was dying”. Mr Davis said the proposals were a “compromise too far” and was “giving away too much too easily” and would effectively mean the UK remaining in the EU. A handful of ministers below cabinet level have also quit in protest and, amid claims No 10 has taken control of the process and marginalised the Brexit department, there has been talk of other resignations unless the government rethinks its plans. 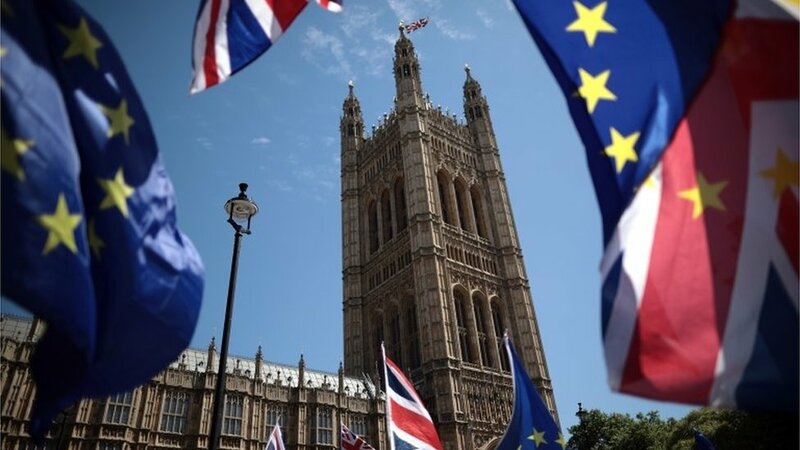 Many Brexit-backing Tory MPs are worried the proposals will inevitably be watered down during the negotiations and the UK will have to accept further concessions. There are also those who backed Remain in the referendum and argue the proposal is the “worst of all worlds” in that the UK would remain tied to the EU without having any say in how it operates or makes new laws. Leading Brexiteers who have stayed in their jobs insist it is consistent with what people voted for in 2016. “What we were asked to do was have no free movement, no EU jurisdiction, no continued payments to the EU, no customs union and no single market,” International Trade Secretary Liam Fox said on Wednesday. Labour has said the plan is a fudge already starting to unravel. It wants the UK to stay in some form of customs union with the EU and for European citizens to get preferential treatment under new migration rules. Labour chairwoman of the Home Affairs Committee, Yvette Cooper, said the government’s Chequers agreement “as it stands” would not be approved by Parliament partly, she argued, because it does not include a customs union. Business, which has been calling for greater clarity for months, has welcomed the plans for close alignment over goods. But some remain unconvinced about how the customs plans, which ministers hope will avoid checks on the border between Northern Ireland and the Republic of Ireland, will work. At a Commons hearing on Wednesday, Mr Fox conceded they had “never been tested before” and it was unclear whether they would be acceptable to the World Trade Organization.